Our Customised Tax Disc Holders are the perfect way for you to advertise your business details and company logo, as cars travel far, and so will your personal details and business logo. Just choose a design you like best from our modest range and we'll have them all reach you ready branded with your personal details and company logo. So drive, drive, drive and advertise. To find out more about our Customised Tax Disc Holders click here and fill in the contact form and we'll get straight back to you. 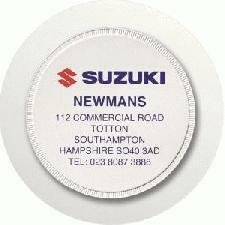 Other promotional and personalised items besides our Customised Tax Disc Holders click here.